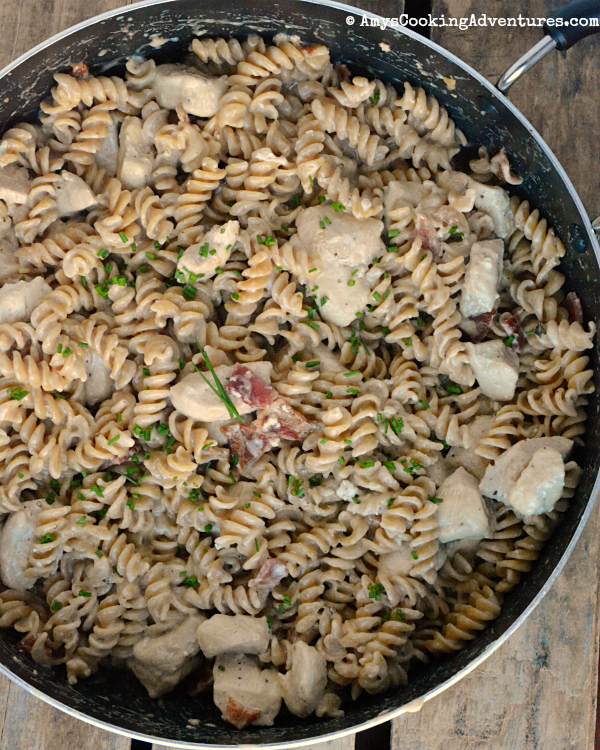 Ok, so Chicken Bacon Ranch Pasta salad is a delicious summertime staple, whether you buy it at the grocery store or make it yourself (note to self: umm…get on that). So why not make a tasty, quick, one skillet dinner version? Especially when it’s International Bacon Day? Heyo! Why not indeed? This was also one of those “I took chicken out of the freezer this morning, now what?” moments when I walked into the kitchen at 5:00 with no plan whatsoever. I tossed the chicken in the pan to start cooking and started rooting through the refrigerator. When I came across some leftover bacon (don’t ask me how leftover bacon managed to happen – I have no idea), an idea started forming and Chicken, Bacon, Ranch Skillet is where it ended up about a half hour later! And guys, my kids were practically fighting over the leftovers the next day! And I can assure you, that means this is one fantastic recipe! Heat a large skillet to medium heat. Add the bacon and cook until crisp. Remove cooked bacon and set aside on a paper-towel lined plate. Drain off most of the drippings. Add the chicken to the remaining drippings and cook until lightly browned on one side. Add the pasta, chicken broth, basil, parsley, salt, and pepper. Cook for 10-15 minutes or until pasta is tender and most (not all) of the liquid has been absorbed. Add the cream cheese and stir until melted. Stir in the ranch dressing, parmesan, and bacon pieces. Cook until the sauce is thickened. Add salt and pepper, to taste. Top with fresh chives and serve. Heat a large skillet to medium heat. Add the bacon and cook until crisp. Remove cooked bacon and set aside on a paper-towel lined plate. Drain off most of the drippings.Add the chicken to the remaining drippings and cook until lightly browned on one side.Add the pasta, chicken broth, basil, parsley, salt, and pepper. Cook for 10-15 minutes or until pasta is tender and most (not all) of the liquid has been absorbed. Add the cream cheese and stir until melted. Stir in the ranch dressing, parmesan, and bacon pieces. Cook until the sauce is thickened. Add salt and pepper, to taste. Top with fresh chives and serve. Great one-pot meal - perfect for back to school! 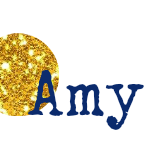 Very creative Amy....Don't you love when desperation becomes inspiration. Sounds like the perfect dish for a busy night. Wow, this looks great. I love that you used whole wheat noodles. We do our best to use them for our meals. I love a one pan meal like this. How cool that you were able to throw this together as you were cooking! My impromptu cooking usually consists of grilled cheese sandwiches! Very nice! 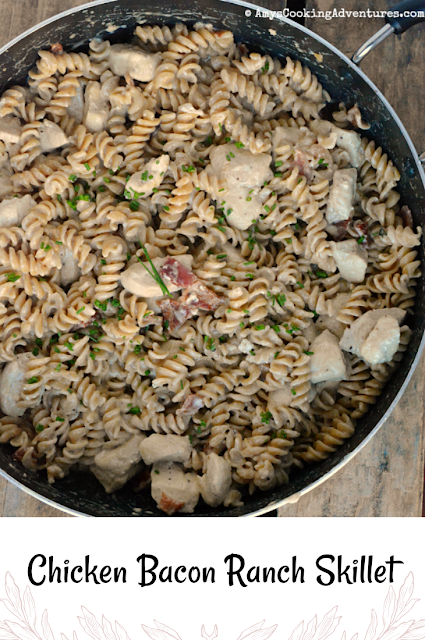 One pot meals like this are so handy for busy nights - looks tasty! Easy dinner idea that I can pull off on a busy week night after a long day at work! Thanks for a great menu planner idea! Wow, Amy. This looks great. And kids fighting over leftovers is always a plus. Good job. Love the flavor combination of this pasta dish! Looks like a family favorite.